JUST ANNOUNCED: Melanie Martinez will be joining Adam Lambert on The Original High Tour in January 2016! Melanie is an unforgettable 20-year-old artist from New York – a stunning and provocative singer, songwriter and visual presence. Her debut Atlantic album, Cry Baby, was released in August and debuted as the “Hot Shot Debut” at #6 on the Billboard Top 200. Adam is set to perform in Auckland on Friday January 22 at the Town Hall before heading to Australia for his Melbourne, Adelaide and Sydney shows. All tickets for The Original High Tour are $99.90*. Advance tickets can be purchased through the Visa Entertainment presale on Monday August 10th from 10.00am to 10.00pm Tuesday August 11. www.visaentertainment.co.nz. For those not familiar with Adam’s rise to superstardom, he’s a Billboard chart topping, multi-award winning, multi-platinum-selling-singer-songwriter and performer. Best known for his soaring voice and theatrical flair, the pop singer has performed in front of sold out crowds worldwide. Adams’ recent visit to Australasia in 2014 was fronting legendary rock group, Queen, on their sold out tour. Queen + Adam Lambert garnered rave reviews playing to ten thousand people a night, and a new legion of fans across the country. His sophomore album, Trespassing, was released in 2012. 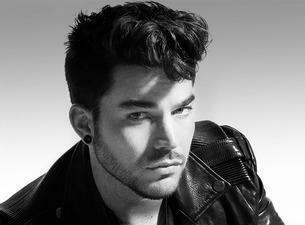 His highly acclaimed album, The Original High, displays a fresh sound for Lambert, and includes collaborations with Tove Lo, and Brian May from Queen (full track listing below). The Original High was released through Warner Music New Zealand last month and to date has spent 7 weeks in the Top 40 album charts. Adam is currently in New Zealand, performing tonight at an exclusive iHeartRadio show at the Civic Theatre, Auckland to promote the album, The Original High, and the forthcoming Australasian tour.